Why use Concrete Pool Reno's? 45 Years of quality concrete pool building and renovations in Perth. Our business now specialises in Concrete Pool Renovations. 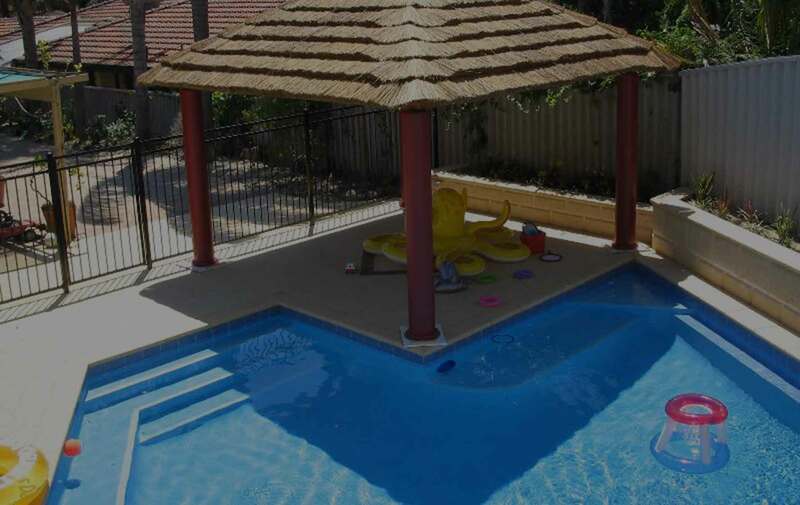 We make our own pool plaster which has been perfected over the last 20 years, right here in Perth, Western Australia. Our many hundreds of completed projects from home to large commercial pool replastered. Browse our site for examples. Fully guaranteed for 5 years for workmanship and materials. Concrete Pool Reno's specialises in concrete pools only. Our service area includes Perth and Regional Western Australia. Home or Commercial Pools. 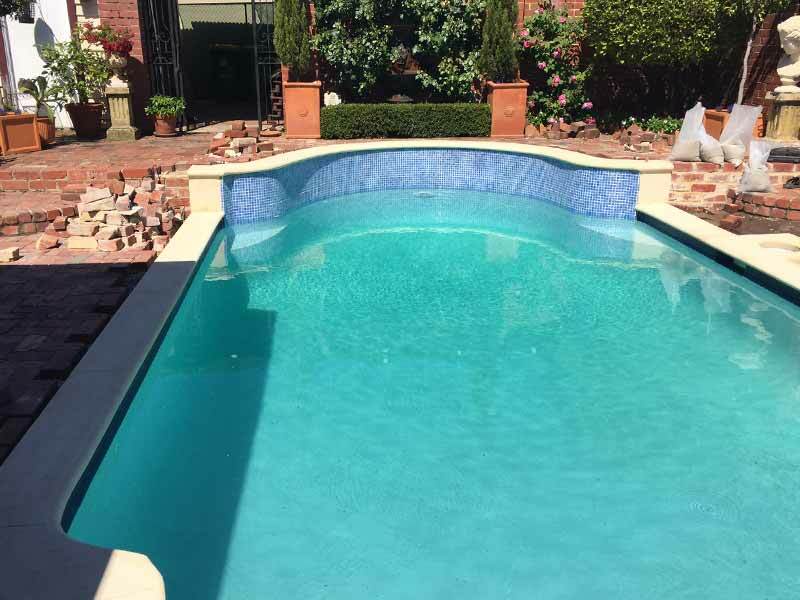 We were called in to renovation this Perth home pool and bring it back to life. Our client was very please to say the least with the result. Our very own mix of pool plaster was used to resurface providing a rich blue look. New tiles and surround. 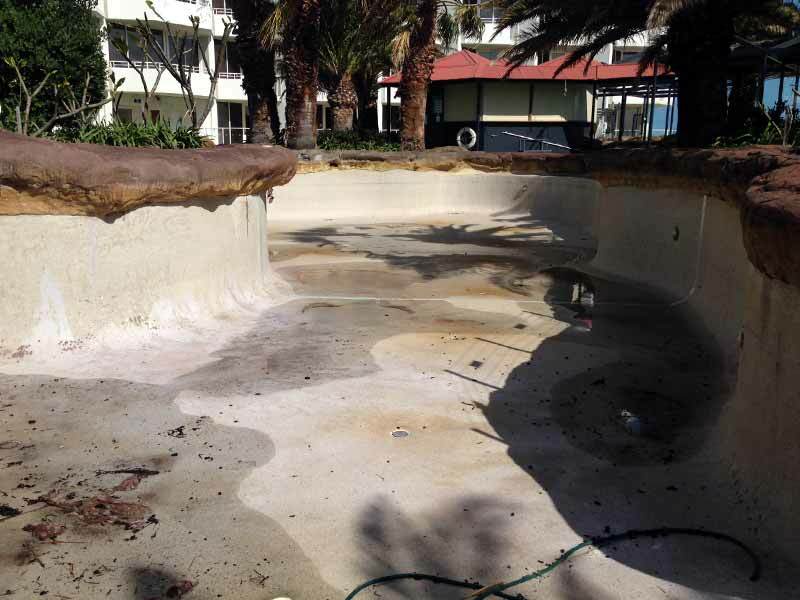 Observation City Perth required their concrete pool renovated and repaired. Observation city chose Concrete Pool Reno's for the project as they could rely on us to get the job done right. A great result! 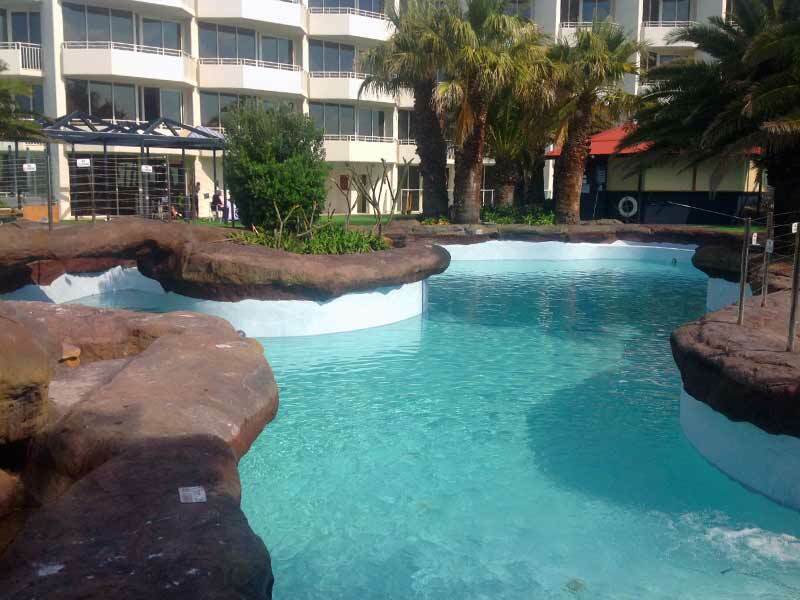 Observation City Perth now has long lasting guest new looking pool for their guest to enjoy. We can do Skimmer box replacement for Perth & WA rural. We are the experts at fixing damaged or leaking skimmer boxes. Broken pool plumbing repair / broken leaking pool pipes repaired. New pool surrounds to replace worn, damaged, old looking or to improve safety. We replace water line tiles. You tiles maybe loose, cracked, damaged beyond repair or just look updated. 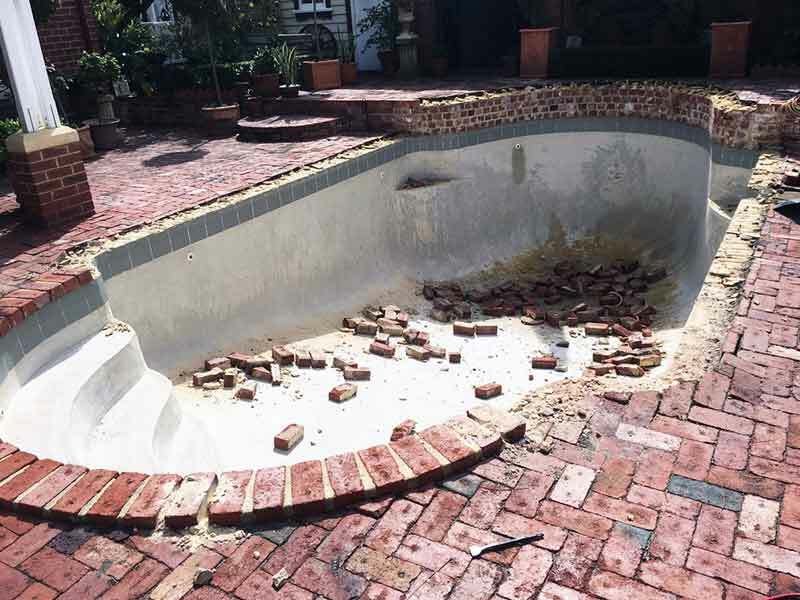 Remove vinyl liner and return to a high quality concrete plastered pool finish. Add concrete spa to existing concrete pools. Home or commercial pools this option is available. You'll be amazed by just how we can upgrade your pool with a spa.